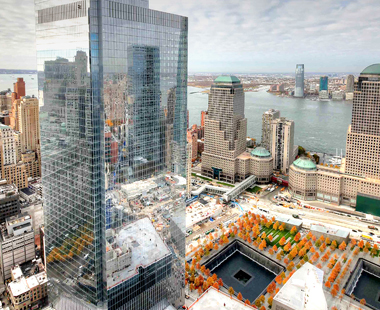 One World Trade Center boasts blast resistant design, and custom staging and maintenance systems. 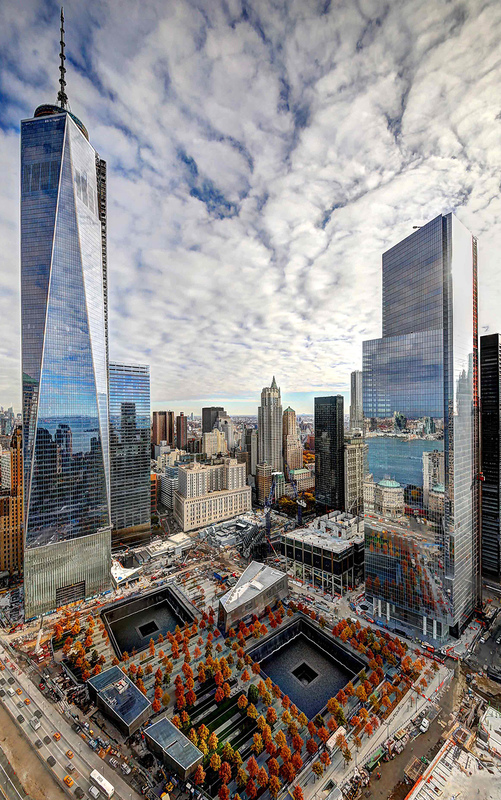 Rebuilding the World Trade Center site was a monumental endeavor, both technically and symbolically. 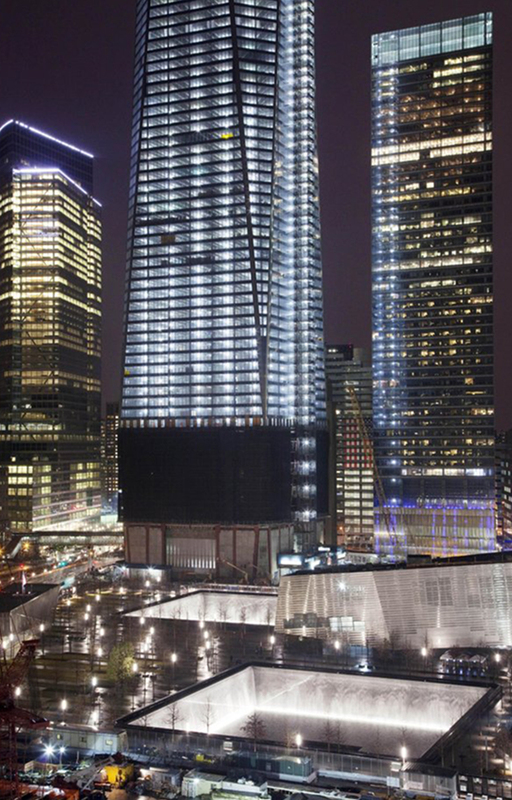 The lead building of the new WTC complex in lower Manhattan, a 104-story supertall skyscraper, occupies the location of the original 6 World Trade Center building. 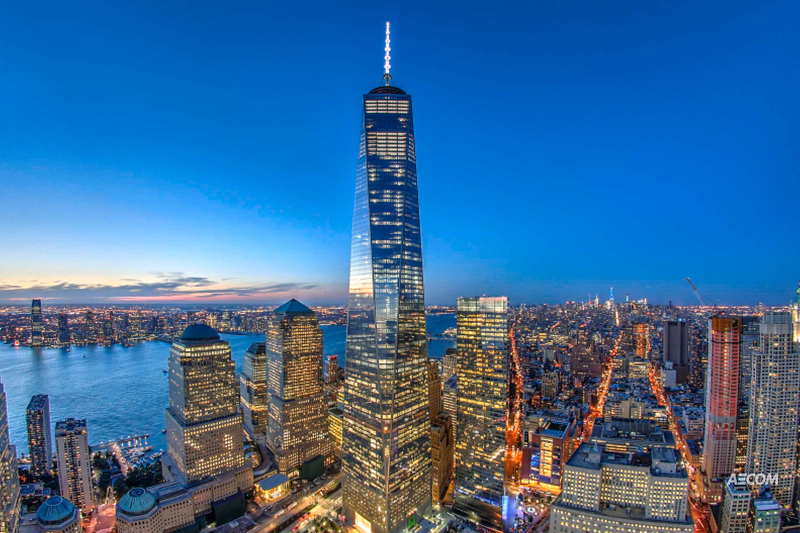 When complete, One World Trade Center will be the tallest building in the western hemisphere with a spire reaching a symbolic 1,776 feet tall. 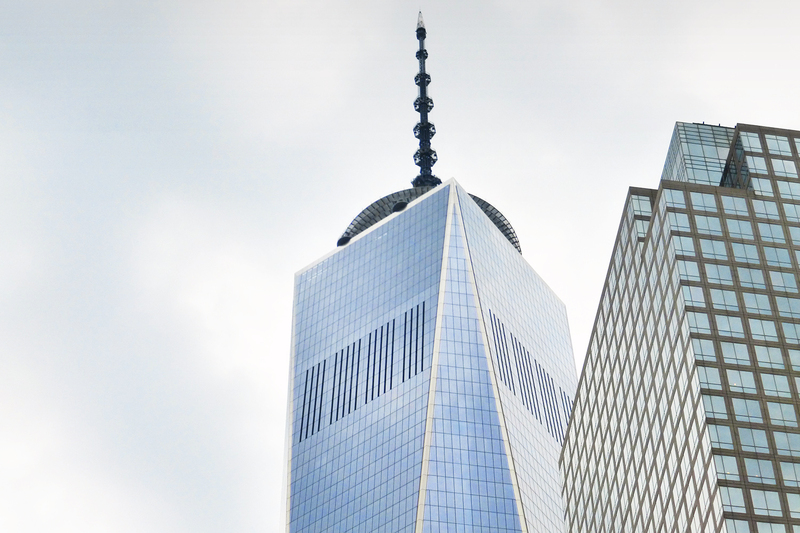 Designed as a “monolithic glass structure reflecting the sky”, One World Trade Center consists of eight isosceles triangles forming an elongated square antiprism. 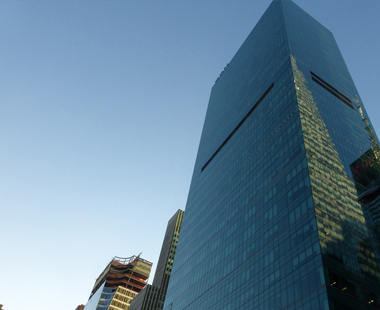 At the 20th floor, inward sloping exterior walls spring from the corners of the square podium; to ultimately converge at the top of the tower in another square turned 45 degrees from the podium. The iconic importance and unique architectural features of the tower posed immense challenges that demanded inventive solutions. 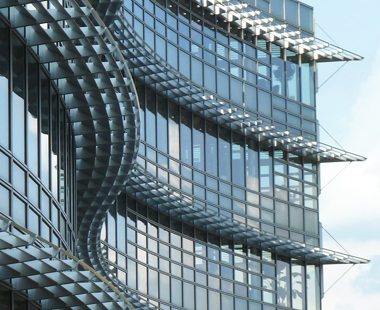 A tower crane was required to lift initial curtainwall corner units into place, which were assembled into mega-frames to accommodate the complicated joinery of the converging stainless steel panels and adjacent trapezoidal glass units. At the 20th floor, every other lite of glass was left out of the curtainwall frames to provide access for installation of the podium. The lites were were field-glazed and employed the use of swing staging. To soften the building edge, trapezoid-shaped glass lites at each corner panel extend 10″ beyond the mullions to ‘float’ in front of the stainless steel corners. Three mechanical plenums are faced with fully louvered walls. The building was designed for blast resistance using a system of high strength anchors and reinforced glass components. A wide variety of wind loads were accommodated, requiring five different thicknesses of glass ranging from 1-3/8″ to 1-27/32″. A re-glazing system was designed with 4-sided structural silicone to ensure that each piece of glass could be replaced. Window washing components were included on every vertical mullion to allow the swing stage to be redirected when converging slopes intersect. Trapezoidal units incorporated a custom mecho-shade track guide into the back of the mullions, tapering at a precise 3.72 degree bias. Bright annealed, Top Pearl finished stainless steel panels cover each corner. They are continually reinforced and individually removable.